I grew up with the Game Boy: it's probably the earliest console I remember playing. It's also very interesting to me from a hardware perspective. The main CPU is a GB-Z80, which is similar to a vanilla Z80 but simpler. 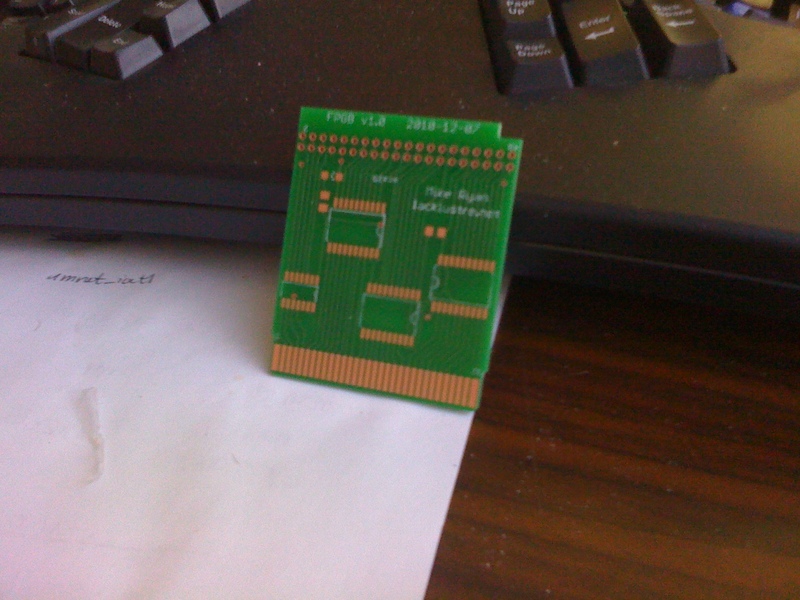 The cartridges features banked ROM, RAM, and battery backed SRAM (depending on MBC), which I find interesting compared to modern flat memory spaces. The EMS USB 64 Mbit Game Boy flash cart is pretty awesome. It's the cheapest and biggest on the market. However the official EMS software only runs on 32 bit Windows. My EMS 64 Mbit USB Game Boy flasher runs on Linux and Mac OS X. 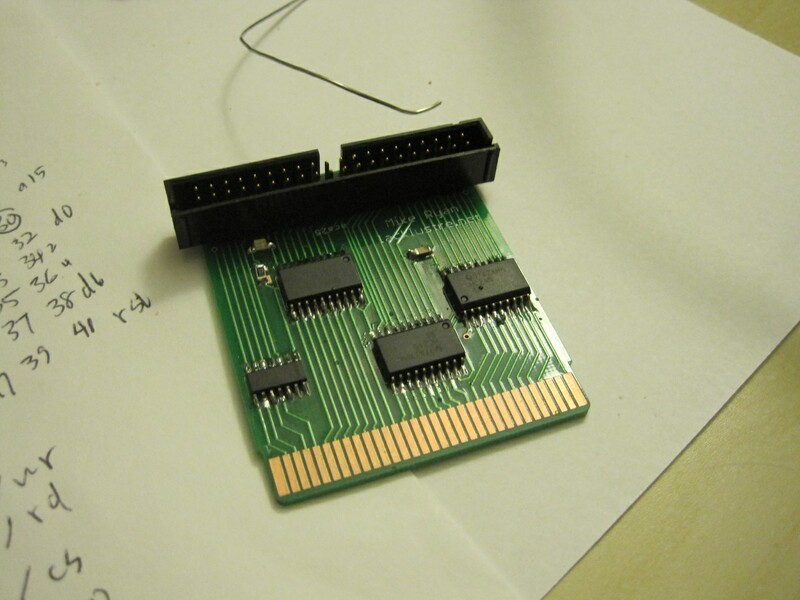 So far it is able to flash the cart and read the ROM off the cart. It is under constant improvement. So far I've gotten as far as laying out a board, getting it etched, and populating it. However, as you can see from the last image, I'm terrible at soldering :(. 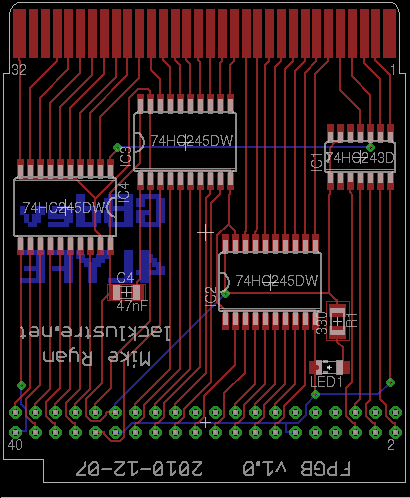 The next step is connecting it to an FPGA and actually implementing some of these ideas. Stay tuned.